Stun your friends with this shiny and brilliant tear drop belly button ring. It is a layered piece with the top layer showing off the tear drop jewel and each additional layer adding fine details to the belly ring. The bottom layer is surrounded by crystal jewels. 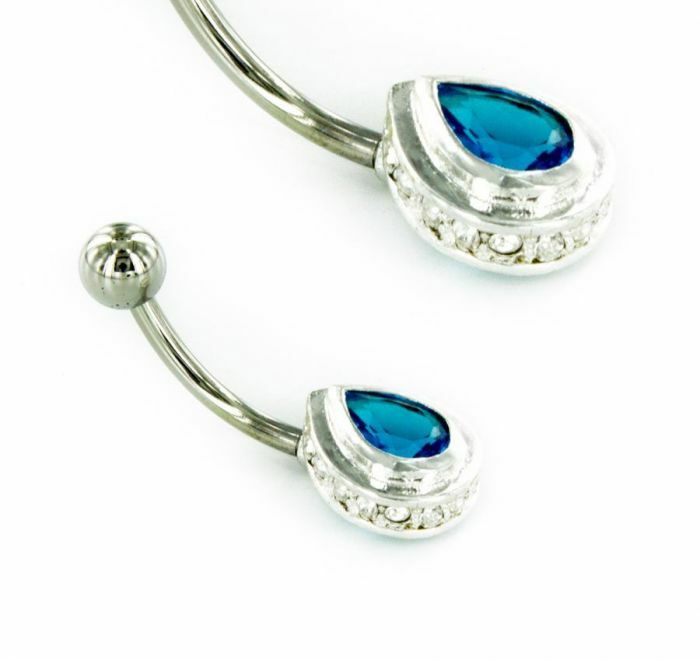 This navel ring will be a classic addition to any outfit.